Human error causes almost all car crashes, and many times, that error is unrelated to driving. For example, a tire may be defective or the operator may be too sleepy to drive. Alcohol impairment, which is a factor in about a third of the fatal vehicle collisions in Florida, may be the most prominent example. Since alcohol is a depressant that slows reaction time, people who drink should not operate motor vehicles, especially on major streets or highways. Alcohol also affects judgment and concentration skills, so impaired drivers do not properly account for the potential dangers around them and often fixate on one task, e.g., they only look forward and never check their mirrors. Negligence is a lack of ordinary care, and since most drivers are dangerously impaired after just one drink, any alcohol consumption is arguably a breach of the duty of care. If that breach caused damages, the tortfeasor (negligent driver) is legally required to pay damages. Taken individually, these items mean, at the most, that the tortfeasor may have had a sip or two of alcohol. But taken collectively, they are clear evidence of impairment, at least in civil court. That violation substantially causes the vehicle collision. 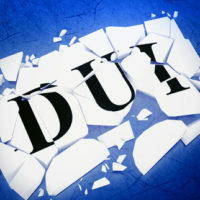 In civil court, the jury decides whether or not the tortfeasor was also DUI, so negligence per se may apply even if the tortfeasor has not been convicted of DUI or was found not guilty in criminal court. In extreme situations, such as a tortfeasor with a very high BAC or multiple prior convictions, punitive damages may be available, as outlined below. The customer was over 21 and the provider knew that s/he was “habitually addicted” to alcohol, and in a civil law context, this usually means that the tortfeasor had previously purchased alcohol at that establishment. In addition to compensatory damages for economic and noneconomic losses, such as medical bills and emotional distress, additional punitive damages are available if the defendant intentionally disregarded a known risk. Victim/plaintiffs must present clear and convincing evidence to obtain punitive damages. Car crash injury victims usually have multiple legal options. For a free consultation with an experienced personal injury lawyer in Brandon, contact Reed & Reed.